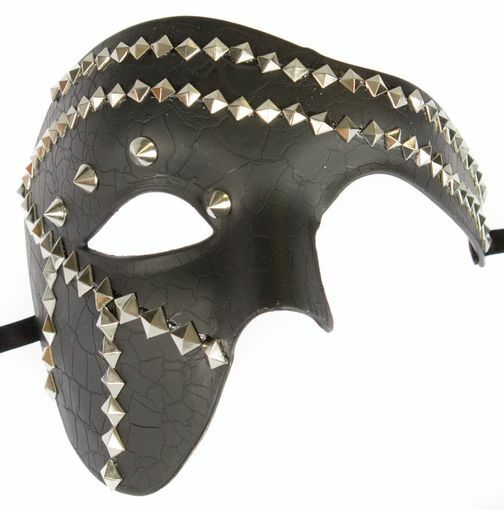 This Phantom mask is painted with crackle technique and decorated with rivets. Mask comes in black and gold antique. Secures with black ribbon ties.